Hey! I just came across your blog looking for "Rose Milk" lotion. I like your style and I think I'll keep coming back to visit. I appreciate that your talking about these kinda things. And since I was a child at the time a lot of these items were popular. I didn't know a lot of the background on them. 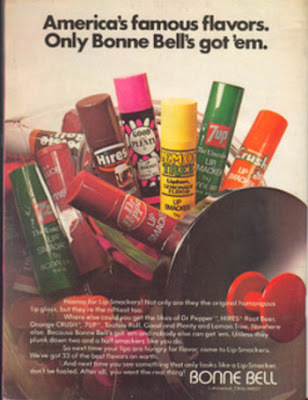 Also, I've always loved lipsmackers. Been using them since I was able to buy them and I'm glad they're still around.